To log into UniFi Video, you will need the IP address (example: 192.168.1.100) or Fully Qualified Domain Name (aka FQDN, example: cameras.companyname.com). ***NOTE: The IP address can be either an internal or external IP address depending on if you are local or remote to the camera system. 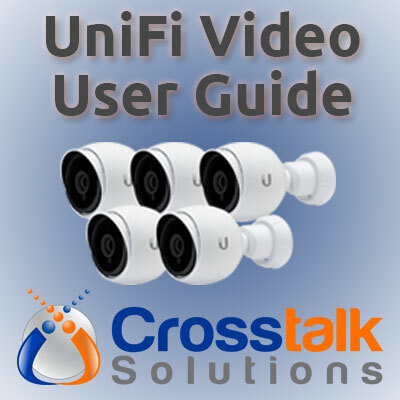 Ask your system administrator which IP or FQDN to use to connect to UniFi Video. You will be prompted with the login screen. 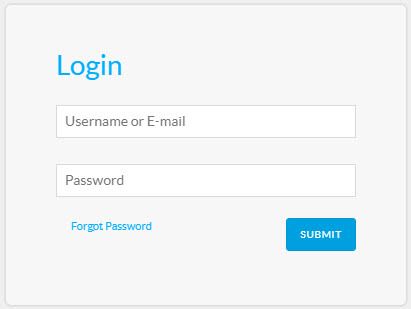 Enter your username and password and then click ‘Submit’ to log in. 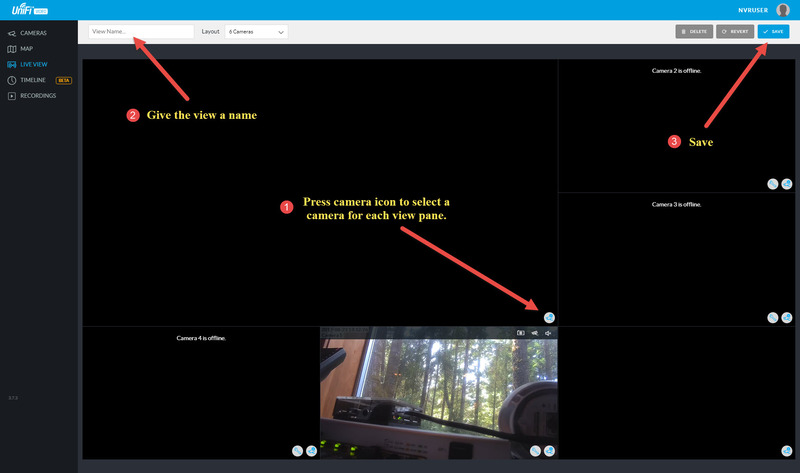 When you first log in, you can see all of the cameras that are connected to the NVR. Cameras that are online have a green circle next to the camera name. Cameras that are offline have a red circle next to the camera name. For each camera, you can see the camera name, the IP address, the MAC address, the last time it recorded video, and the Ethernet link state. If you click the Live Feed button, you can view the video from any individual camera. Press the X to close the camera view. If your administrator has set up a map view, you can click on Map in the left hand menu to see where each camera is located. When adding a view, you are first presented with the number of cameras that you would like to display in your new view. Pick whichever number of cameras is appropriate. 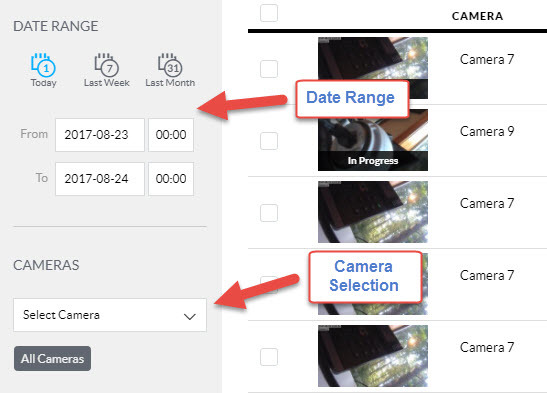 Once you have picked your number of cameras (I used the 6 camera view in the example below), you can then press the circular camera icon in each view pane to select a camera to view. Once you have added all of the cameras you wish to see in your new view, give your new view a name and click the ‘Save’ button in the upper right-hand corner. Your new view is now saved in the drop-down box for future use. The Timeline option gives you the ability to view a camera’s recordings over time. At the bottom of the screen are all of the Timeline view controls. First, choose which camera you would like to view. The selected camera will display vertical red lines on the timeline indicating where it has stored recordings. Next, change the playback speed – this ranges from 1x to 32x. Finally, you can change the time scale from 15 minutes all the way up to 24 hours. You can use the arrows on each side of the Timeline view controls to move forward and backward in time based on the time scale unit selected. ***NOTE: As of the writing of this document (UniFi Video v3.7.3), the Timeline view is still in BETA, so issues may be experienced when using this feature. To view recordings, click on Recordings from the left hand menu. You can filter your recordings by date/time and by camera. Select the date and time range that you would like to view. Then, select which cameras you would like to view. You can select a single camera, or multiple cameras. 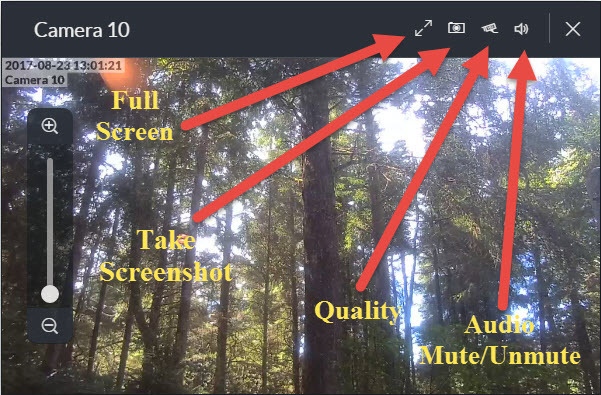 Filtered recordings will display in the right hand pane. Click on any recording to play it. While playing, you can mute/unmute the audio, change the playback speed (clock icon), take screenshots, and switch to full screen view.